Several years ago I had a CZ-85 Combat in 9mm, but it had some issues related to the slide stop and also its grip was too large for my hand. I wound up trading it off. However, I retained a desire to own a CZ handgun, and two nights ago I came home with one of CZ's newer polymer-framed models, a P-09 Duty. Price was $566 OTD. CZ introduced the compact P-07 a few years ago, and the P-09 a couple years later. Both combine a CZ-75 type mechanism with a more modern polymer frame. This allowed CZ to cram large magazine capacities into slim grips. In 9mm, the P-07 has a 16 round mag, while the P-09 holds 19 in its flush fit magazine. The P-09 came in a plastic case with a test target, manual, warranty info, cleaning brush, cleaning rod with patch loop, two magazines, a gun lock, replacement back straps, and safety. As configured from the factory, the P-09 is a DA/SA design with a decocker. However, by replacing the decocker with the safety, the gun can be carried cocked and locked, like a 1911 or Browning High Power. 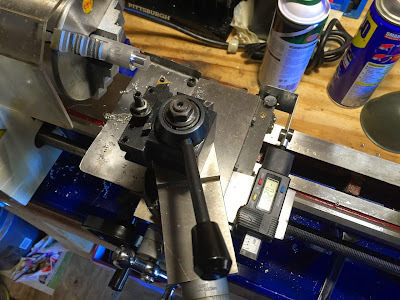 If configured with the safety, you can also carry the gun hammer down on a loaded chamber, but you have to manually lower the hammer to do so. Both sets of controls are rather flat. I don't think this is a problem with the decocker but if I was using the safety, I'd want it to stick out a little more for a better purchase. I'll stick with the decocker. The interchangeable backstraps allow you to modify the size of the grip to better fit your hand. Mine came with the Small backstrap installed, which I will leave in place. Like many modern designs, the P-09 sports an M-1913 Picatinny rail under the frame in front of the trigger guard. I'm planning to mount a light there. The P-09 is pretty thin at a ~1.5" thick, but the height (~5.8") and length (~8.1") make it a full size pistol. It weighs 27.35 oz. unloaded without a magazine. The sights are typical modern service pistol sights: fixed, well-defined, and have a three-dot pattern. The dots are actually photo-luminescent paint and will glow in the dark if charged by exposing them to light. To me this is a gimmicky substitute for tritium night sights or even fiber optics. I may swap out the front sight for a FO unit. The DA trigger has a long, creepy takeup but feels less than 10 pounds (I don't have a trigger scale). The SA pull also has some creep and is probably around 5 pounds. Not great but not horrible for a new gun. It will smooth up with use, and I won't think of replacing any parts or doing a trigger job until the gun has a minimum of 500 rounds through it. For a person like myself with small hands, the P-09 has a very ergonomic grip. The trigger reach is short enough that I can get the pad of my index finger fully on the trigger without stretching. Also, the decocker (or safety if it's installed) are both ambidextrous, and the magazine catch can be reversed for lefties. Even though I'm a southpaw, I'm leaving the mag catch as-is. Long ago I learned to use the middle finger of my left hand for mag catches. The back of the grip has a nice beavertail that spreads recoil out across the web of your hand. Before I shoot a new gun for the first time I always field strip it. This is to ensure that everything inside is in good shape, that it's properly lubricated, and it's a good way to familiarize yourself with a new gun. After getting the P-09 home last night I took it out to my shop and following the instruction manual, took it down. Takedown is simple, similar to that of a Browning High Power. The slide stop is still a bit stiff coming out so I needed to use a dowel to get it started. The other things of note were that the gun was bone-dry, and that the recoil spring is captured on its guide rod, so removing and reinstalling it was a snap. After oiling the gun with FP-10 and running a patch through the bore, it went back together easily. Yesterday I took the P-09 to Langhorne Rod and Gun Club and put 125 rounds of Herter's 9mm 115 FMJ through it. The Herter's ammo was made in the Czech Republic by Sellier & Bellot for Cabela's, so it was only fitting to use it in the CZ. The magazine springs are very stiff, so I was glad that I had my Butler Creek MagLULA with me. (Seriously, don't leave home without one if you're shooting an autoloader with a double stack magazine.) Getting the 19th round in was very hard, so I called it good at 18. After the mags see some more use I suspect they'll get a bit easier to load. Accuracy was good. At 10 yards I was able to keep most of my shots inside of a ~3.5" hole, except for called flyers caused by me. There were no malfunctions. CZ autoloaders have relatively low bore lines, so muzzle flip wasn't bad at all. And, even though the gun is fairly light, recoil was mild. Today provided a good test of the P-09's grip stippling. It was hot and humid, so my hands were sweaty. Despite this, I had no problems hanging onto the gun. With only 125 rounds through the gun so far, it's not even broken in or proven. However, my initial impression is VERY favorable. The reviews I've found online by actual owners have all been favorable, so I'm expecting that I'll remain pleased with it. The CZ P-09 looks like a good choice for range duty and home defense. If I was buying a similar pistol with concealed carry in mind, I'd look to the smaller CZ P-07. That said, one should be able to CCW a P-09 with a good holster, gun belt, and cover garment. 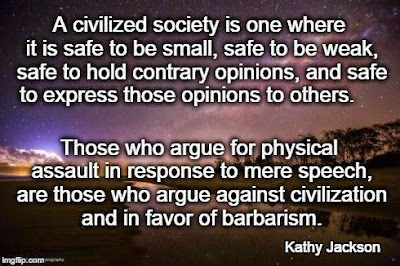 Unfortunately, it's not going to work, as it's not accurate enough. I turned the stock down until the DRO read that I'd moved the cutter in 0.125", but when I measured the rod, I got 0.490". It was off by 1/1000" over such a small distance, which in metalworking terms is too coarse. 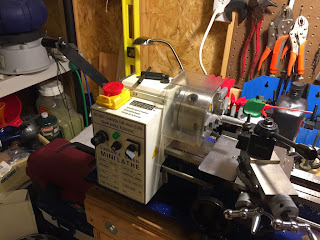 I'm going to go ahead and try the iGaging DROs, which a lot of mini mill and mini lathe owners have had good results with. I'm planning to install one for the cross slide and another for the compound. I'll be adding info about this to my machining site, but thought it was worth posting here as well. 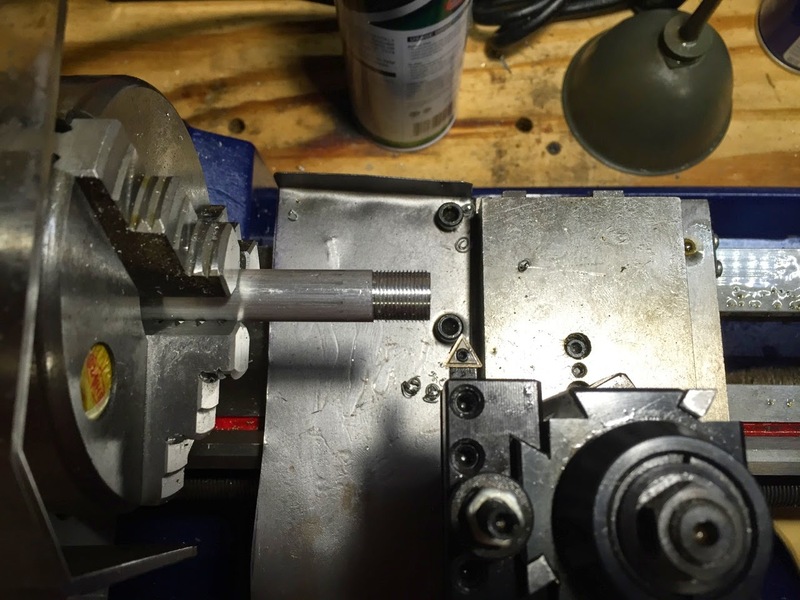 Tonight I cut my first single point threads on my mini lathe. One of the advantages that the Chinese-made mini lathes have over the American-made Sherlines and Taigs is that they can be used for thread cutting without any additional attachments. To setup the lathe to cut threads at the desired pitch, you change gears in the headstock. A good explanation of the procedure can be found in the Little Machine Shop Mini Lathe User's Guide (PDF). 1/2x28 is of course the standard thread used for muzzle devices on .22s and 5.56mm firearms. E.g., my Ruger 22/45 Lite's barrel is threaded 1/2x28. Since I'm just learning how to thread on the lathe and wanted to reduce the risk of crashing the tool into the chuck, I got a spindle hand crank from Little Machine Shop. It fits into the spindle the same way a bicycle handlebar stem goes into the head tube. Aside from safety, the spindle hand crank gives you lots of low speed torque. However, if I ever want to thread a barrel I'll have to do it under power, because the hand crank blocks the spindle bore. If the chip tray gets in the way of a job it can be easily removed. External Battery Packs for Cell Phones, Tablets, Etc. Most of us rely on cell phones, tablets, and maybe a GPS unit in our daily lives and out in the field. Smart phones are basically pocket computers and it's easy to become reliant on them to augment our own knowledge. Unfortunately, they eat electricity and many of the most popular models don't have replaceable batteries. That's where an external battery pack comes in. External battery packs range in size from units the size of a lipstick to large blocks. Modern battery technology is allowing manufacturers to cram more amp hours into smaller units, but if you want more than one phone recharge, or need to recharge more than one device, you're going to have to buy one of the larger units. Last Fall I picked up an EasyACC 15,000 mAh pack from Amazon, and used it on my Fall deer hunting trip. It's about at the limit of what I'd call pocket-sized. The two USB ports can theoretically be used to simultaneously charge two devices, although one port puts out 1.5A and the other puts out 2.1A. However, if one of your devices requires a 2A minimum input then you'll be limited to charging one device at a time. Aside from the big pack, I also have a smaller unit from Duracell that I picked up when I bought my first iPhone. I carry this one in my EDC bag to and from work, just in case there's a foul up during my commute and I need to give my phone a boost. I'm putzing around with my Raspberry Pi again, and came across Ivan X's Raspberry Pi Party site. One of the utilities he has which you may find useful is Pi Finder, a program to find and connect via SSH to your Raspberry Pi running in headless mode, when you don't know its IP address. Pi Finder is an app that runs on Mac OS 10.5+. If you need a similar app that can run on Windows or Linux (plus Mac OS X), check out Adafruit's Raspberry Pi Finder. 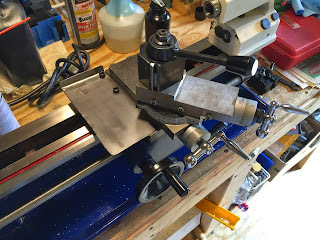 Added material to the page about my Big Dog Metal Works 7x14 lathe. Added material to the page about firesteels.